﻿ Duplex Steel UNS S31803 Compression Tube Fittings, Duplex UNS S2205 Ferrule Fittings Exporter. Duplex UNS 2205 Male Branch Tee Manufacturer, Duplex Steel UNS S31803 Straight Union Supplier, Duplex Steel UNS S32205 Ferrule Fittings Supplier In India. We, at Amco Metals, believe in creating high-quality products through continuous efforts and quality control. We have a wide range of highly innovative products in our portfolio. We assist our customers in choosing a suitable product for their requirements. We are an ISO 9001: 2015 certified company, dedicated in building customer-centric products. 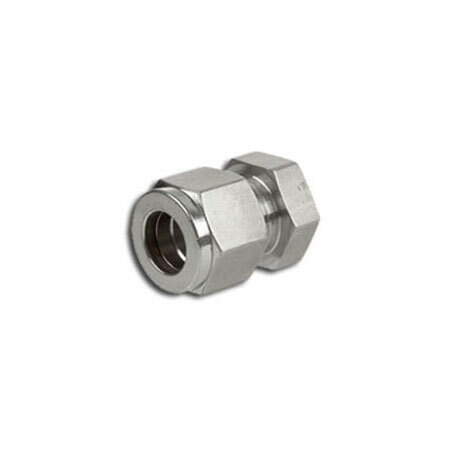 We are the manufacturers, traders, stockiest, suppliers and exporters of Duplex Steel 31803 & 2205 Compression Fittings. 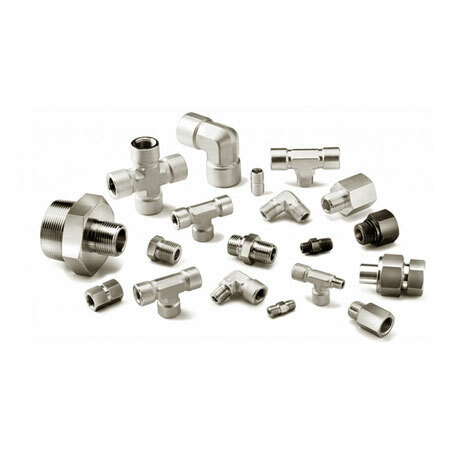 Our Duplex Steel UNS S31803 & S32205 Ferrule Fittings are nitrogen enhanced for a complete corrosion protection against a host of hostile material and atmospheres. 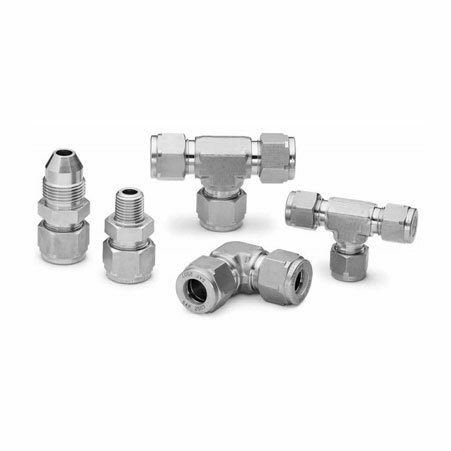 Our Duplex Steel 31803 & 2205 Ferrule Tube Fittings are light weight, weld able fittings which have excellent low-temperature toughness and energy absorption features, necessary for the water heater, heat exchanger and pressure vessel industry. We offer complete customization options to our customers on the range of products that we have built over the past 25 years. ASME SA 182 Duplex Steel Ferrule Fittings Manufacturer, Duplex Steel UNS S31803 Compresion Tubes Exporter, Duplex Steel UNS S32205 Male Elbow Supplier In Worldwide. Bhutan, Germany, Macau, Morocco, Poland, Philippines, Qatar, Chile, Lebanon, Libya, Gambia, Oman, Italy, Bahrain, Jordan, Yemen, Brazil, Costa Rica, Puerto Rico, New Zealand, Namibia, Bulgaria, Austria, Estonia, Bolivia, Mexico, Ukraine, Denmark, Iran, Azerbaijan, United States, Greece, Thailand, Ghana, Chile, Canada, Kenya, Bangladesh, Russia, Taiwan, Sweden, Norway, Slovakia, Ireland, Tibet, South Korea, France, Iran, South Africa, Zimbabwe, Kuwait, Angola, Singapore, Gabon, Mexico, Algeria, Netherlands, United Arab Emirates, Saudi Arabia, Vietnam, Japan, Nepal, Sri Lanka, Ecuador, Pakistan, Peru, Colombia, Spain, Egypt, Trinidad & Tobago,Tunisia, Switzerland, Mongolia, Indonesia, Iraq, Turkey, Malaysia, Belarus, Romania, Nigeria, Argentina, Lithuania, Kazakhstan, Croatia, Hungary, China, Poland, Australia, Finland, Serbia, Czech Republic, Afghanistan, United Kingdom, India, Hong Kong, Venezuela, Nigeria, Belgium, Israel, Portugal. Melbourne, Karachi, Perth, Bhopal, Kuwait City, Port-of-Spain, London, Ludhiana, Gurgaon, Thane, Faridabad, Manama, Vadodara, Bengaluru, Sharjah, Dubai, Houston, New Delhi, Toronto, Granada, Dallas, Mexico City, Vung Tau, Montreal, Bogota, Madrid, Moscow, Abu Dhabi, Indore, Kuala Lumpur, Ernakulam, Chennai, Los Angeles, Colombo, Milan, Dammam, Ho Chi Minh City, Nashik, Pimpri-Chinchwad, Al Jubail, Pune, Hyderabad, Geoje-si, Aberdeen, Howrah, Rio de Janeiro, Noida, Hanoi, Al Khobar, New York, Seoul, Santiago, Caracas, Petaling Jaya, Singapore, Bangkok, Courbevoie, Hong Kong, Ahvaz, Coimbatore, Lagos, Calgary, Sydney, Surat, Navi Mumbai, Mumbai, Baroda, Chandigarh, La Victoria, Jamshedpur, Visakhapatnam, Tehran, Cairo, Gimhae-si, Ranchi, Doha, Algiers, Busan, Jaipur, Nagpur, Brisbane, Secunderabad, Haryana, Lahore, Istanbul, Kolkata, Ahmedabad, Kanpur, Rajkot, Atyrau, Muscat, Ulsan, Thiruvananthapuram, Jakarta, Ankara, Jeddah, Riyadh, Chiyoda, Edmonton .